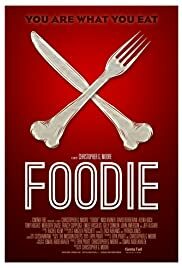 Foodie is a dark comedy about a food service industry professional who receives an invitation to an exclusive, underground dinner party and finds out there's much more on the menu than he bargained for. Horribly acted, super predictable, just pure awful. How this got ANY kind of awards is beyond me. It would be bad for a student film.